Californians like to brag about how we can go from sunny beach to snowy mountain in the very same day. Boasting aside, it's the truth! When winter comes most of us here in the San Francisco Bay Area are just a few hours away from the nearest ski slope. Here are some places to ski in California and tips for planning a ski or snowboard vacation. 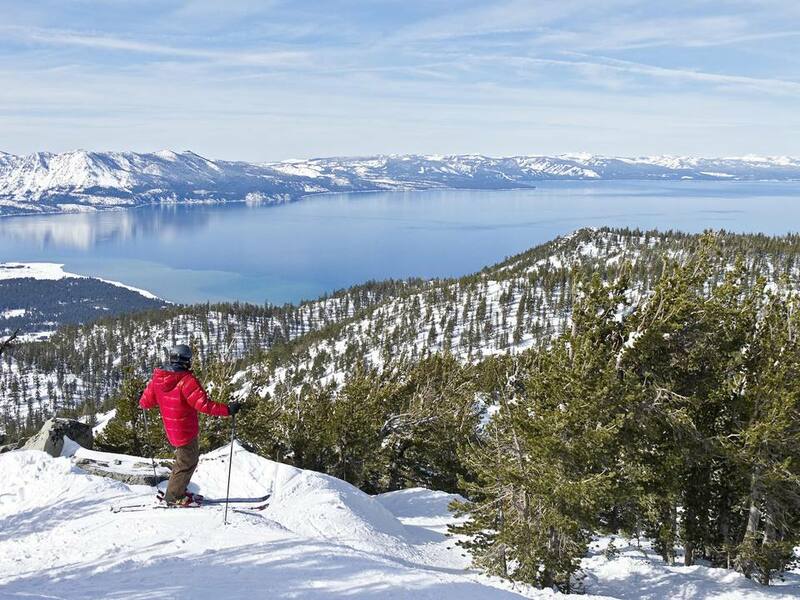 The three closest ski regions to Northern California are the Central Sierra Nevada Mountains/Yosemite, South Lake Tahoe California, and North Lake Tahoe/Reno, Nevada. As the crow flies, popular Southern California ski resort Mammoth Mountain is just as far from San Jose as North Lake Tahoe, but winter road closures mean you would have to go around the sierras, a trip that would tack on a few more hours. It's usually easiest to fly to Mammoth from Northern California. In California, ski conditions and snow cover vary greatly from day to day, so be sure to check conditions before you leave. Here are the driving distances to the nearest California and Nevada ski resorts. The given distances were mapped from Downtown San Jose to the resort, mid-day on a week-day. Drive times vary, be sure to map it from your starting location. 120 daily flights. It's a thirty to sixty minute drive to North Lake Tahoe and Truckee, CA resorts and one hour and 15-minute drive to South Lake Tahoe resorts. 145 nonstop flights. It's a two-hour drive to the South Lake Tahoe resorts. San Francisco International Airport (SFO) to Mammoth Yosemite Airport (MMH): One daily nonstop flight on Delta. It's a ten-minute drive from the airport to the town of Mammoth Lakes.